Tower of Babel, by Robert T. Pennock. An excellent treatment of the evolution-creation controversy, with particular reference to the so-called intelligent design theory. The National Center for Science Education, the premier organization to learn about evolution and creationism and help fight the good fight (if you're not sure which one that is, visit this page!). Darwin Day International, the international coordination center for D-Day events. Darwin Day - Tennessee, where it all started! In 1859 the world got a piece of shocking news: it seems that not only is the earth not the center of the universe, as Copernicus and Galilei had amply demonstrated, but that human beings are not the pinnacle of creation after all. This devastating blow to our self-esteem-the second in three centuries-was dealt by Charles Darwin, a quiet Englishman who had made his lifelong activity the understanding of the natural variation of living organisms. As is well known, the publication of his On the Origin of Species caused quite a stir in academic circles and among the general public. The first kind of controversy (the scientific one) lasted only a few decades: by the turn of the 20th century the theory of descent with modification (as Darwin called it), or evolution (as we now refer to it), was as solidly established as general relativity or the theory of gases. Not so for the second sort of controversy: while the general public in most European countries does not consider the notion that we are closely related to chimps and monkeys particularly outrageous anymore, a vocal minority in the United States refuses the very idea on ideological grounds: it's not in the Bible, so it can't be. How can this bizarre state of affairs persist into the 21st century? To a scientist, this seems as incredible as somebody seriously defending the theory that the earth is flat (which a few people belonging to the Flat Earth Society in California actually do!). Scientists are not in the business of questioning people's religious beliefs, but they are also paid to teach the best of what we have good reasons to think we know, leaving individuals to make decisions on how to reconcile the discoveries of science with their own religious views. It is this disconnect-between what scientists accept as established beyond reasonable doubt and what a sizable portion of the American public believes-that has prompted the annual celebration of "Darwin Day," which just occurred on February 12 (that is, on Darwin's-as well as Lincoln's-birthday). Darwin Day is an international effort, mostly focused on the United States with a few outlets in Canada and Europe, to encourage the public to learn about evolutionary biology and to prompt scientists to get out of their ivory towers for at least a few hours and talk to the people who, after all, pay their salaries and research grants. Surely this sort of communication between experts and lay people can't be a bad idea. Darwin Day was actually started in 1996 at the University of Tennessee as the result of a reaction to the silliness of a bill then being considered by the state legislature and which would have curtailed the teaching of evolution in Tennessee's public schools. A group of students and faculty of the then recently created Department of Ecology and Evolutionary Biology was discussing the situation over a beer (at a several-times-since-defunct brewery on Gay Street in Knoxville, TN) and decided to create a group whose mission would be to dispel the so many myths and misunderstandings about evolution and Darwinism that periodically fuel such misguided legislative attempts as the 1996 Tennessee Senate bill n. 3229. (The bill fortunately died in committee, although it generated enough negative publicity that the BBC did a special show on the controversy). So was born the Tennessee Darwin Coalition. Just in case you'd like to start your own Darwin Day for 2003, let me tell you what we did in Tennessee this year. The events started on February 11 with a workshop for local junior and high school teachers on how to use evolution as an example of critical thinking. Imagine! The idea is that it would be much better for students to learn about the process of science and how certain conclusions (e.g., that we did evolve from a common ancestor shared with currently living chimps) are actually reached instead of just learning facts that they have to take on faith. On February 12 there was a whole array of events, starting with an all-day information booth at the student union where faculty and graduate students will answer questions about evolution, and continuing with a documentary festival in which videos were followed by a discussion of the main ideas presented. 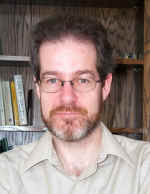 Darwin Day 2002 in Tennessee concluded with a special lecture by philosopher Elliott Sober (of the University of Wisconsin-Madison), who nicely showed why intelligent design theory is actually no theory at all. Now, you don't have to do all this to have a Darwin Day next year, but make sure to borrow a biologist or a philosopher from your local college and the fun is guaranteed. While it is astounding to see that the state of science education in this country is so poor that people proudly "reject" well established scientific theories simply because they don't fit with their preconceptions, there is a bright side to almost everything, and the evolution-creation controversy is no exception. After my rude awakening to the realities of creationism when I moved to Tennessee, I started to study the problem and its roots. In so doing I learned quite a bit about why people believe what they believe, and what shortcomings of science education are contributing to cause the problem. The result has been a better awareness of the situation and a renewed willingness to do something about it (and a new idea or two to try out). 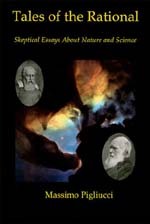 The feeling is spreading throughout the nation: the Society for the Study of Evolution (the premiere professional society of evolutionary biologists) now has a permanent committee dealing with creationism and many of its members are starting to wake up from the torpor of their shielded academic lives to get back into the classrooms and in the public arena. The reason this is excellent news for everybody, creationists included, is because it goes far beyond the scope of this particular controversy. It means that scientists-shaken by attacks on their discipline from as varied sources as the religious right and the academic left-may be finally starting to realize that they have a moral obligation to come to the public and explain what they are doing, why and how. This, as the final words of Casablanca famously went, may be the beginning of a splendid friendship. The result could be a better informed and critically thinking public, the true guarantors of a democracy.